Dawn of the Morning is the story of a young woman coming of age in the early 1800s. Having never known a loving home, she is sent away to school by her hard and unfeeling father and stepmother, and a marriage is arranged for her to a man she dislikes and fears. Prince Nicolai is heir to the throne and to his people’s hearts. But agreeing to an arranged marriage for the good of his people, the prince finds that his new bride requires special tenderness if he is to win her heart. In the Land of Pendaran, Shelby Parker lives a humble but good life. Her special qualities are eventually noticed by the king and queen of the House of Markham,who seek a new wife for their widowed son, Prince Nikolai. Elnora Comstock lives with her widowed mother at the edge of Limberlost Swamp. Her mother is harsh and critical of her daughter, but Elnora is a loving girl who befriends all creatures. She is especially drawn to the beautiful moths that flutter through the trees in Limberlost. Although Elnora longs to go to high school, she has no money to pay for tuition and books. When her cruel mother refuses to help, all seems lost, until Elnora learns she can sell the rare insects she collects. Still, her journey through high school and college will be full of challenges - and surprises. 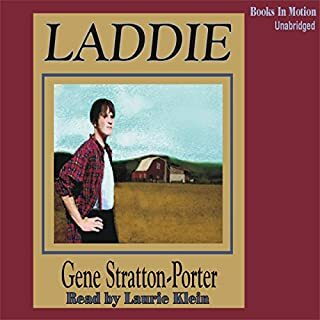 First published in 1909, Gene Stratton-Porter’s classic tale is a marvelous lesson in the powers of compassion and determination. Whether you remember this book from your childhood, or are meeting it for the first time, Elnora’s shining personality will capture your heart. 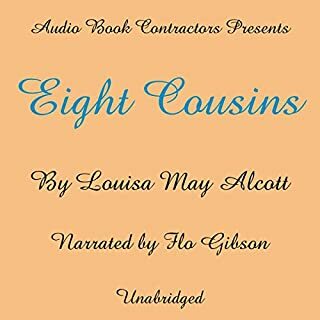 Her gentle spirit is conveyed in each sentence by narrator Christina Moore. 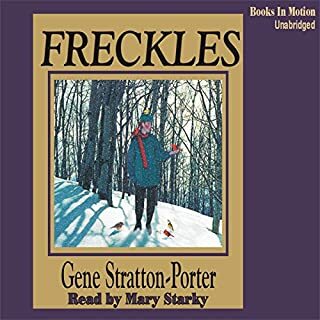 This is one of my favourite Gene Stratton-Porter books from way back and I enjoyed listening to this audio version of it, alongside my then 13 & 11 yr old children as a summer time audio book. It pays to note the mother is awful at the beginning of this book (nasty, embittered, and abusive!! ) and then a series of events happen that change her life, her attitude, and the way she treats her daughter, Elnora. 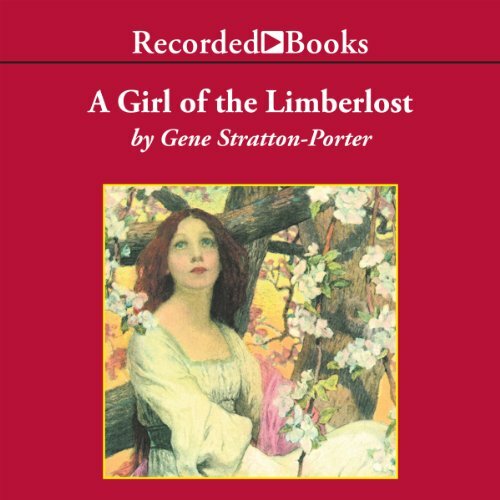 The Girl of the Limberlost, in my opinion, is one of those timeless stories of forgiveness, restoration, and redemption. 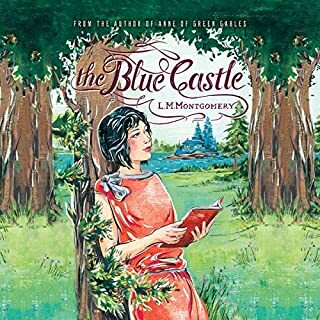 If you appreciate the character development, and story line, in such books as: A Little Princess ~ Burnett, Understood Betsy ~ Canfield, Old Fashioned Girl ~ Alcott, then you'll appreciate this book... well, after you get past the awful mother portion! There is romance in the book, the wholesome kind that is not sensuality based. Christina Moore does a sterling job of bringing this book to "read aloud" life. Narration, the book itself are beyond a five star rating. My 8 th grade granddaughter commented there were a few places of “too much conversation”. Honestly, it’s only fault. a wonderful book for young and older girls. tells of a young girl who is confident and finds happiness is what life has given her. 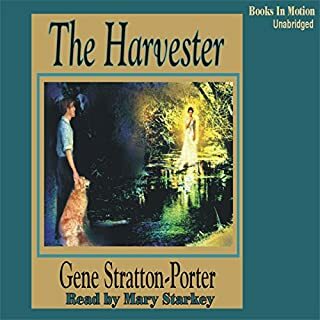 I became familiar with the writings of Gene Stratton-Porter in my early teens and loved them. Now six decades later I'm still enjoying revisiting them especially in this audio format! I truly enjoyed this lovely old fashioned book! It is truly one of my favorites! Beautiful story and performance. Loved the descriptions of nature and the development of characters in relationship to one another. Everyone should be able to read this book and I really want to know what happens next because it was so interesting. A story from my teen years. Read this book in my young teen years. It was always a favorite! Enjoyed the the way it was written so long ago...Christina Moore was a fabulous narrator! 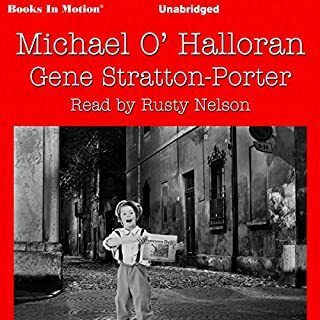 My father bought for me most all of Gene Stratton-Porter books when I was in elementary school in early 60's. I loved them all, but remember this one (among maybe 3 others) was one of my favorites. My childhood came flooding back with this book. I was a loner and a nature lover, spending hours with my microscope, aquarium and various jars and boxes of critters I brought home and hid from my mom. I love the turn of the century language and sensibility. For those girls who love the old "Tammy" movies, "Lassie" and other real/fairy tale stories, these stories for for you. Wonderful narration by the way! I have loved this book for years. The narration is superbly done. Christina Moore brings each character to life.